This set of recordings is from the very last Hathor workshop facilitated by Tom. It is a rare and uplifting culmination of his work as a Hathor channel that has spanned the last 25+years. Learn how to enter and explore the Multiverse on your own. Draw to yourself streams of restorative energies from the realm of Pure Consciousness where all dualities and conflicts are resolved and partake from the treasure troves of transcendent knowledge that reside throughout the Multiverse. 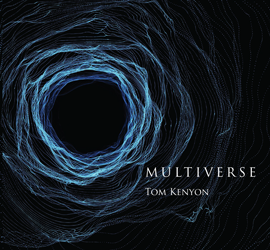 Using his nearly four-octave range voice, Tom Kenyon channels unique evolutionary sound codes that serve as bridges into this life-changing dimension of consciousness.